FRANK - Jean M. (nee Hickelton) Of Tonawanda, entered into rest November 29, 2018, beloved wife of Edward A. Frank; devoted mother of Allan E. Frank and Valerie J. 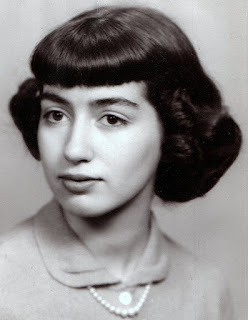 (David) Haarmeyer; cherished grandmother of Melinda, Carolyn, Crystal and Tanya; loving daughter of the late George and Ruth Hickelton; dear sister of Ruth (James) Likoudis, George Hickelton, Elizabeth Hickelton, Margaret (James) Kistner and John Hickelton; also survived by many loving nieces and nephews. Relatives and friends may visit the LOMBARDO FUNERAL HOME (Northtowns Chapel), 885 Niagara Falls Blvd. near Eggert/Sheridan Dr., on Wednesday from 4-8 PM. A Funeral Service will be held at St. Stephen’s Bethlehem United Church of Christ, 750 Wehrle Dr., Cheektowaga, on Thursday morning at 11 o’clock (please assemble at church). Interment Williamsville Cemetery.